Make your own homemade Butterscotch Sundae Sauce. 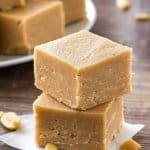 Rich, buttery, sweet, slightly nutty and with that deep caramel taste – you won’t believe how easy it is to make your own! I love summer. Sandals, sun, cut-off shorts, patios, holidays, ice cream. What could be better? Now, I love eating ice cream any time of year – but there’s nothing like enjoying a deliciously cold & creamy treat on a hot summer day. Ice cream sandwiches, milkshakes, ice cream cones, banana splits, ice cream sundaes – it’s just not summertime without them. So, since we’re already almost half-way through August (NO!!!!) – it’s time for some ice cream recipes! Or more specifically – Sundae Recipes! First up – Butterscotch Sauce! I love butterscotch. 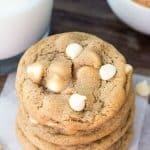 (Have you tried my Butterscotch Blondies???) And I LOVE butterscotch on ice cream. I distinctly remember in 4th grade our whole class got sundaes from Dairy Queen on the last day of school, and I was the ONLY kid who got butterscotch. There were seriously about 20 hot fudge, maybe 5 strawberry, a couple caramel – and just me – with the lonely delicious butterscotch. And for once, I did not care one bit about being different. I was eating the most delicious sundae. The rich, buttery, sweet, slightly nutty butterscotch flavor paired perfectly with the cold, creaminess of vanilla ice cream. My 9-year-old self was pretty smart. 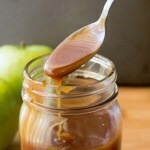 To make your own homemade butterscotch sauce, all you have to do is melt some butter oven medium heat, then stir in some brown sugar and add your cream and salt. Then let the mixture bubble for about 5 minutes – it’ll be a slow & rolling boil – then remove from the heat and stir in the vanilla. My only pointer – don’t leave out the salt! And remember, you can’t substitute brown sugar for white sugar or you end up with caramel. Delicious butterscotch. No thermometer. No secrets. No stress. Oh – and only 5 ingredients (which you likely already have in your kitchen). Let’s celebrate summer properly with a Butterscotch Sundae, mk????? 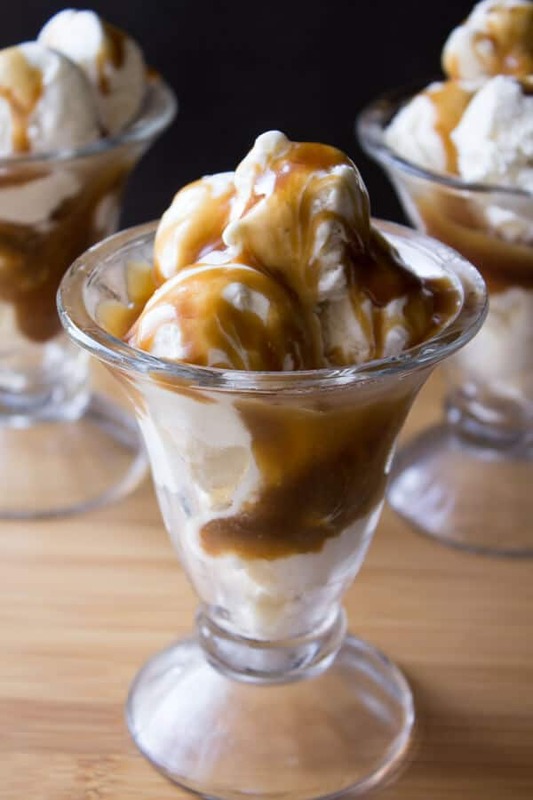 Make your own homemade Butterscotch Sundae Sauce with this super easy recipe. 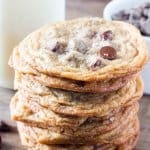 Only 5 simple ingredients and no candy thermometer required. In a medium sized, heavy-bottom saucepan melt the butter over medium heat. When melted, stir in the brown sugar til it's starting to dissolve. Then add in the salt & and whipping cream and stir until dissolved. Bring the mixture to a slow, gentle, rumbling boil and allow to bubble for approximately 5 minutes while stirring occasionally to ensure the mixture isn't burning. Remove the pan from the heat and stir in the vanilla. Serve warm over ice cream, or allow to cool completely and store in an airtight container in the fridge. I just made this beautiful ice cream topping. Butterscotch has always been my favourite flavour! This was so easy to make and the taste is devine!!! SOOOOOOO good!!!! Drizzled it over vanilla ice cream with some chopped bananas – thank you!